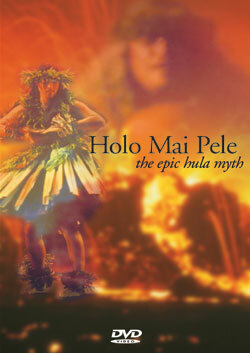 Holo Mai Pele (Pele Travels) tells the epic saga of the rivalry between Pelehonuamea, goddess of the volcano, and her youngest and favorite sister Hi'iaka. The one-hour performance weaves together archetypal themes of creation, love, and betrayal into a sweeping dramatic performance. For the first time, a rare legacy of chants and dances as passed down through generations is presented by the Kumu Hula and performers of Halau o Kekuhi,in a stunning and exciting adaptation for Dance in America.